Authorities in the Nigerian commercial capital of Lagos are working to overcome a severe housing shortage as the city's population continues to grow at a rapid rate. With the current population of 20 million expected to increase to 25 million in about fifteen years, finding a solution is proving challenging. Strikers Obafemi Martins and Kelechi Iheanacho are in Nigeria's squad to face Swaziland in a two-legged World Cup qualifier in November. "It was a bit of a shock, but a nice shock," Martins, who was last called up in March 2013, told BBC Sport. "I'm very happy, because I have always worked hard, supported and respected all the players picked by the coaches." Iheanacho has been selected only days after starring for Manchester City in the cup win over Crystal Palace. The 19-year-old scored and made two assists in his side's 5-1 victory on Wednesday, a performance which brought high praise from his club manager Manuel Pellegrini. Super Eagles coach Sunday Oliseh needed to bring in strikers following the recent decision by Emmanuel Emenike to retire from internationals. Martins last played for his country in March 2013 for a 2014 World Cup qualifier against Kenya. Despite being his country's most in-form striker last year, alongside Ikechukwu Uche, he was omitted from the Brazil 2014 squad. However his good form has continued this season - he has struck 15 goals for MLS side Seatlle Sounders - and Martins is determined to make the most of his Super Eagles recall. "I thank coach Oliseh for this great opportunity. I'm just looking forward to going out there and playing for Nigeria again," he said. Another player returning to the international fold is Lazio midfielder Ogenyi Onazi, who missed Nigeria's last competitive game against Tanzania in September due to suspension. Former Nigeria international Oliseh has also kept faith in English Premier League trio of John Mikel Obi, Odion Ighalo and Alex Iwobi. But there is no place in the squad for Kenneth Omeruo or West Ham's Victor Moses, who pulled out of Nigeria's friendlies against DR Congo and Cameroon two weeks ago. Swaziland will host the first leg of the World Cup qualifier in Lobamba on 13 November, with the return leg at the Adokiye Amiesiamaka Stadium in Port Harcourt four days later. The winner will advance to the final group phase to decide Africa's five representatives at the tournament in Russia. Nigeria's army has published photos of nearly 100 people whom it says are its most-wanted Boko Haram suspects. The army urged the public to phone special hotlines if any of the suspects were spotted, as it steps up efforts to hunt down the Islamist militants. President Muhammadu Buhari, who took office in May, has given the military a mid-November deadline to defeat them. Boko Haram has lost most of its territory this year but increased suicide attacks and bombings since May. It began its insurgency in 2009 in north-eastern Nigeria, but has since spread its activities to neighbouring Chad, Cameroon and Niger. Boko Haram is allied with the Islamic State (IS) group which is fighting for a global caliphate - a state governed in accordance with Islamic law. The photos on the list appear to have been sourced from Boko Haram propaganda material, including videos, reports the BBC's Bashir Sa'ad Abdullahi from the capital, Abuja. Its leader Abubakar Shekau appears twice on the list, despite previous claims by the army that he had been killed and claims by Chad's President Idriss Deby in August that the group had a new leader who was open to dialogue. The army say it will circulate the banner across the country to help it track down the insurgent leaders. Appeals for public co-operation are written in English as well as Hausa and Kanuri, the two main languages in Nigeria's north-eastern areas where Boko Haram is most active. The Nigerian Golden Eaglets beat their counterpart from Australia 6 0 thereby advancing to the FIFA U-17 World Cup Chile 2015 quarter-finals. They are to play Brazil who edged past New Zealand by one goal in Vina Del Mar. The match which will be played on Sunday will be a battle between world’s number one in the U-17 category which is Nigeria’s Golden Eaglets and Brazil the number two. Reigning FIFA U-17 World Cup champions Nigeria advanced to a quarter-final meeting against Brazil on the back of a hat-trick from the impressive Victor Osimhen, ending Australia’s run with a one-sided 6-0 victory in Vina Del Mar. The tale of the first half was compacted into a three-minute period as Nigeria scored twice sandwiched either side of a gilt-edged opening for Australia. It was 2-0 at the interval, and the game was still a contest until the final 17 minutes before Nigeria ran riot against an Australian side looking flat after surviving the ‘group of death’. The Aussies started in pro-active fashion, but it was Funsho Ibrahim Bamgboye who hit the post with a rasping shot from the edge of the penalty area as Nigeria’s first effort narrowly failed to break the deadlock. That moment came on 22 minutes as Osimhen showed just why he is the tournament’s leading goalscorer by bursting forward with pace and power on the left, before turning his defender and sliding the ball impressively inside the far post. Australia could have drawn level immediately with Cameron Joice seeing his shot saved, while Lucas Derrick pushed the follow-up wide as a golden opportunity was spurned. Almost immediately Nigeria were two in front as Funsho Bambgboye went to ground in the penalty area, and Kelechi Nwakali coolly slotted home the resultant penalty. The two goals seemed to inspire the Nigerians who took a greater hold as the half wore on creating several half-openings around the Aussie goal. Nigeria continued their powerful performance after the break, and although Australia dominated possession for periods, it was the Africans who ended the contest with a third. Osimhen scored twice in the space of six minutes, the second with another laser-perfect drive into the top corner. The deflated Aussies conceded to more goals in the dying minutes as firstly substitute Edidiong Michael Essien, and then Samuel Chukwueze, inflicted further pain as Nigeria stormed into the last-eight in confident fashion. The Nigerian Electricity Regulatory Commission has implemented the first phase of a multi-year tariff increase system by enforcing a 40% rise in the cost of using the state utility. Nigeria's power grid currently supplies just over 4800 Megawatts of electricity to an estimated population of 177 million people. Nigerian troops have rescued 338 people, mainly women and children, held by the Islamist group Boko Haram in their Sambisa forest stronghold in the country's north-east. The soldiers killed 30 suspected jihadists and seized a cache of arms and ammunition, the military said, adding that 138 women and 192 children were among the survivors. It is unclear whether any of the hostages rescued were part of the group of 276 schoolgirls kidnapped in Chibok last April. Elsewhere in Nigeria, troops ambushed and killed four suspected Boko Haram operatives on a suicide bombing mission in the eastern state of Adamawa. The soldiers recovered two AK-47 rifles, mortar bombs, and other “unexploded ordinances”. Nigerian army public relations director, Colonel Sani Kukasheka Usman told AllAfrica.com that "the successful clearance operations and ambushing of the terrorists has further degraded them and saved the lives of so many innocent victims of their suicide bombings". The colonel also noted that the raid coincided with the Nigerian army chief Tukur Buratai’s visit to the armed forces’ Mubi headquarters. President Muhammadu Buhari, who came to power in May on a pledge to crush Boko Haram, has given his military commanders until the end of December to defeat the group, whose insurgency has killed at least 17,000 people and forced more than 2.5 million to flee their homes since 2009. Nigeria has imposed a record $5.2bn fine on a South African mobile phone company for failing to register users, raising concerns that regulations are being tightened to compensate for a budget shortfall. The unprecedented fine has already caused a 16% drop in the share price of MTN, Africa’s largest mobile phone company, and threatens the firm’s future in Nigeria, its biggest and most profitable market. There are fears that the fine, which came on the same day that regulators acted against another South African company, could deter foreign businesses from investing in Nigeria. Nigerian regulators accused MTN of failing to deactivate unregistered sim cards in a timely manner, and argue that the fine is designed “to ensure that the wilful non-compliance ceases”. Unregistered sim cards are seen as a major security threat by the Nigerian government, which is concerned that anonymous numbers facilitate terrorism and crime. Yet the size of the fine, which works out to more than $1,000 for each of the 5.1 million unregistered cards, is seen as excessive. Last year Nigeria’s parliament recommended that Shell pay a $3.96bn fine for a major oil spill at its offshore Bonga oilfield that caused long-lasting environmental damage. Analysts suggest that the fine could be a form of income generation for the government, which is struggling after the sharp decline in oil prices. If collected, the fine would represent nearly a quarter of the government’s $22.6bn annual budget for 2015. “Nigeria’s fiscus is in serious trouble. Whatever way the Nigerian state can recoup lost revenues from oil, then so be it,” said Martyn Davies of market consultants Deloitte-Frontier Advisory. Davies warned that the government’s budget shortfall would make life more difficult for foreign companies already in Nigeria, and discourage others from investing. Already, he said, foreign companies are finding it harder to take money out of the country as regulators interpret the rules more strictly. The fine has come as a shock to MTN’s shareholders, who know that Nigeria is the company’s largest and most profitable market. Significantly, the company’s Nigerian operating licence is up for renewal next year and there are fears that run-ins with the regulator could threaten this renewal. MTN’s share price on the Johannesburg Stock Exchange has collapsed since the fine was imposed, with the company losing 16% of its value in just two days of trading. The company is also being investigated by the stock exchange over accusations that it failed to officially alert shareholders to the fine for more than seven hours after it first became public. Beyond a public statement confirming the fine, MTN has not commented beyond saying that it hopes to reach a lower settlement. Failing that, analysts expect lengthy court proceedings or a dramatic exit from Nigeria. “The fee is also totally unreasonable and if it did stick, I can’t see how MTN can remain in business. The average revenue per user is around $5 in Nigeria, but they were fined just over $1,000 per unregistered user,” said Stuart Lowman, business reporter for South African site biznews.com. The fine came on the same day that another South African company got on the wrong side of Nigerian regulators. Stanbic IBTC, the Nigerian subsidiary of South Africa’s Standard Bank, was ordered to withdraw and restate its 2013 and 2014 financial statements amid suspicion of “accounting irregularities and poor disclosures”. Stanbic denies any wrongdoing, but four directors – including the current chairman and CEO – have been suspended until the matter is resolved. The problems encountered by two of South Africa’s most prominent companies in Nigeria has caused concern. “Both MTN and Standard Bank’s Nigerian operations were hammered on the same day, which may look like an SA-focussed clampdown,” said Lowman. The two countries are fierce economic rivals, with Nigeria overtaking South Africa to become the largest economy on the continent last year. Yet South African companies are still far better represented in Nigeria than the reverse, which creates its own tensions. “The perception of South African companies in Nigeria is not good, despite the good practices of many South African companies. The general state of relations is not positive, and this certainly can’t be helping things,” said Davies. Nigeria's military says it has uncovered tunnel hideouts used by militant group Boko Haram. From Abuja, CCTV's Kelechi Emekalam has the update. Nigeria’s home-based Super Eagles team have secured qualification for the 2016 African Nations championships,CHAN, tournament taking place in Rwanda next year. The Eagles beat the Etalons of Burkina Faso to the ticket after forcing out a goalless draw in Sunday’s second leg tie in Ouagadougou. The first leg in Port Harcourt a week ago ended 2-0 in favour of the home-based Eagles and after putting up a resolute defensive display, Nigeria was able to progress at the expense of their West African neighbours. Hosts Burkina Faso dominated the return leg game, but however failed to translate their dominance into goals as the Eagles struggled to find their bearing and did not create chances. That nonetheless, the Eagles are set for their second participation in CHAN after missing out on the two earlier editions. The Eagles made their maiden appearance at the 2014 edition in South Africa where they ended up as bronze medalist. They will hope to do better in Rwanda next year. Another early morning bomb attack has occurred in a mosque in Maiduguri, Borno state, killing and injuring many worshippers during the early morning prayer session, witnesses said. The blasts, according to residents occurred in Jiddari Polo area at about 5am when Muslims were performing the first congregational prayer of the day. Details of casualties are still sketchy as security officials have cordoned the area while rescue and aide workers tried to evacuate corpses and injured victims. But a spokesman of the local Civilian-JTF, Abbas Gava, told PREMIUM TIMES that “it was two bomb explosion in a mosque in Jiddari Polo, very close to the Federal High Court complex. We are still trying to get the correct figure of casualties”. PRNigeria, an agency that distributes press statements on behalf of Nigerian security and rescue agencies, said rescuers from the National Emergency Management Agency (NEMA) had so far evacuated six dead bodies from the scene of the attack. The PRNigeria gathered that the incident occurred during the early Morning Subhi Prayer at a mosque behind Magistrate Court Polo Area in Maiduguri. The agency said “the explosion was carried out by a suspected lone suicide bomber whose two accomplices escaped, when some vigilant members of the community accosted them on their suspicious movements”. It quoted a senior health official as confirming that six bodies had been deposited in the mortuary, while about 17 other injured victims were being treated at the Specialist Hospital and the University of Maiduguri Teaching Hospital. The Golden Eaglets blistering start to the Chile 2015 FIFA U-17 World Cup has been hailed by Prince Martin Apugo, the President of Diamond Football Academy, Umuahia which produced the Eaglets duo of Samuel Chukwueze and skipper, Kelechi Nwakali. Nigeria’s cadet side trounced USA 2-0 in the first game played last Saturday before another blockbuster performance against hosts, Chile on Wednesday morning at the Estadio Sausalito Vina Del Mar which produced a 5-1 win. Two goals from Chukwueze in the first and 61st minutes, additional brace from Victor Osimhen in the 66th and 86th minutes and a goal from the captain of the side, Nwakali in the 17th minute from the penalty spot put the Eaglets five goals up while Marcelo Allende’s 81st minute strike was only a consolation for Chile. Apugo pointed out that the performance of the Golden Eaglets and especially two products of his academy shows that talents abound in the country and that if they are properly annexed they can go places. He said he was specially impressed with the form of Chukwueze who produced a man of the match performance to score two goals including a strike after 25 seconds which is till date the quickest goal of the current competition, and also assisted the Eaglets additional two goals. He said the form of Nwakali, Chukwueze and the rest of the Golden Eaglets’ players at the ongoing FIFA U-17 World Cup is serving as inspiration to other young players and in his academy who are now eager to train all day in their attempt to emulate them and also become stars of tomorrow. “I am happy with the feat of the Golden Eaglets in Chile and I want to specially congratulate Samuel Chukwueze and Kelechi Nwakali who are players of my academy. They have set a good example to emerging players that hard work pays. They have distinguished themselves, especially Chukwueze who scored two goals and was felled three times in the 18 yard box for three spot kicks to Nigeria. “The players in my academy have derived additional motivation from the performance of the Eaglets in Chile and they have started coming to us daily for training even though we are on break,” Apugo told SportingLife. The Golden Eaglets are top of Group A with maximum six points from two matches and are through to the second round but they will play their last group tie against Croatia on Friday also at the Estadio Sausalito Vina Del Mar. The mansion, the pool, the Bentley, the life-size portrait and the gold medallions are the spoils of a revolution in Nigeria and music superstar D’banj is enjoying them. The 35-year-old used to have to bargain with street-market traders to sell his CDs because there were no formal distribution outlets. Today, MTN Group Ltd., Africa’s biggest mobile-phone operator, and Emirates Telecommunications Corp. sell songs by D’banj and other stars like Davido and 2Face as ringtones and downloads. Now Tidal music streaming service owned by U.S. rapper Jay-Z is interested in the Nigerian market. Thanks to Nigeria’s answer to Spotify and Apple Music, the music industry has seen sales triple in the past five years as mobile downloads surged despite rampant piracy. With at least 550 albums each year, revenue to artists from sales is now worth more than $150 million annually, according to Sam Onyemelukwe, chief executive officer of Lagos-based Entertainment Management Co., partner of Paris-based Trace TV. Outside of his revenue from Apple Inc.’s iTunes, D’banj said that in the past 18 months he’s earned more than $200,000 from sales in Nigeria. “It’s close to buying me a Ferrari,” he said by the pool at his home, where he has his own recording studio. More than two-thirds of MTN’s almost 63 million subscribers in Nigeria are using its ringtones service, for as little as 50 naira (25 cents) a song, with downloads on its Music Plus platform growing about 25 percent a year, said Richard Iweanoge, MTN Nigeria’s general manager for consumer marketing. The boom has drawn the attention of Jay-Z, the rapper whose real name is Shawn Carter. “My cousin just moved to Nigeria to discover new talent,” he said April 26 on his Twitter account. It was part of his move to make his Tidal music-streaming business “a global company,” he said. Boosted by satellite television outlets such as Trace TV and MTV Base Africa, a unit of Viacom Inc., many Nigerian musicians have won international acclaim. At the 2015 MTV Base Africa Awards held in South Africa in July, Nigerian musicians swept the most prestigious awards, with Davido winning best male artist and Yemi Alade best female artist. D’banj, ambassador for brands from Apple’s Beats Music to Diageo’s Ciroc Vodka, clinched an award for popularizing African music. In the 1960s and 1970s Nigeria had a robust music industry, with EMI Group Ltd., Philips Records and Polydor Ltd. publishing the works of musicians including the late Fela Anikulapo-Kuti, King Sunny Ade and Osita Osadebe who went on to achieve global appeal. Most of the companies pulled out in the 1980s as an economic crisis led to currency devaluations and lower disposable income. That left musicians resorting to selling their rights to distributors for a one-time fee, or heading over to the open-air Alaba market in Lagos to get traders to distribute their recordings. Then, in 2001, MTN led the introduction of mobile phones in Nigeria, and today there are almost 149 million lines. That’s given local artists an unparalleled avenue to distribute their songs. In this week’s Headliner, Hasan speaks to the Nigerian president about his pledge to defeat Boko Haram and his efforts to bring back the kidnapped Chibok girls. Nigeria striker Emmanuel Emenike on Tuesday announced his retirement from international football, after a barren spell in front of goal. The 28-year-old said on his Instagram account he was calling time on his five-year career for the national side, telling fans he was “no longer a Super Eagles player”. “It has always being my pleasure to play and win for the team,” he wrote. Emenike, who plays his club football for Al Ain of Dubai, is the second player to announce his retirement from Nigeria’s senior squad this month. Lille goalkeeper Vincent Enyeama– Nigeria’s most-capped player — said he was calling it quits after a much publicised row with coach Sunday Oliseh. Oliseh was reportedly considering leaving out Emenike for next month’s World Cup qualifier against Swaziland because he has not scored at international level for two years. Emenike made his international debut in a friendly against Sierra Leone in Lagos in February 2011 and was top scorer at the 2013 Africa Cup of Nations that Nigeria won. But he soon after hit a bad patch and his last goal for Nigeria was in October 2013, in a World Cup qualifying play-off against Ethiopia. 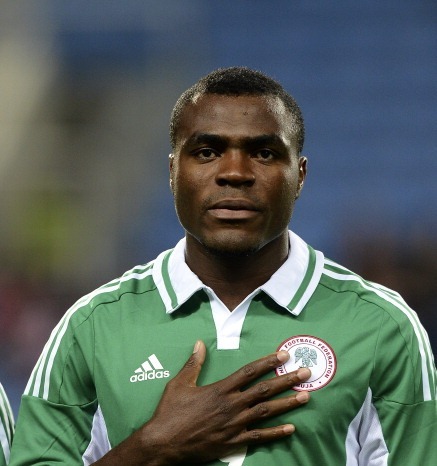 In all, he made 37 appearance for the Super Eagles, scoring nine times. Unhelpful staff, a severe lack of seating and broken air-conditioning were just some of the reasons the Port Harcourt International Airport was given the worst airport title. Saudi Arabia’s Jeddah King Abdulaziz airport was second on the list – as it was last year - due to passengers’ annoyance at the “crowded, chaotic and unclean” Hajj terminal. A new airport in Jeddah is scheduled to open next year. France’s Beauvais-Tille Airport coming in at number 10. Fliers cited an absence of chairs, lack of kind staff and expensive Wi-Fi as the reason Beauvais-Tille was not their favourite airport. Sleeping in Airports asked passengers to judge the airports in four categories: comfort, cleanliness, convenience and customer service. Nigeria's private sector will focus on empowering Nigerian youth. This decision was made in the just concluded 2015 Nigerian Economic Summit, which addressed the new challenges confronting the continent's largest economy, in light of the sharp decline in crude oil prices. Nigeria, the reigning U-17 World Champions, have begun their title defence on the right foot after taking down USA 2-0 in the Super Eaglets' opening match of the FIFA U-17 World Cup Chile 2015. A scoreless opening 45 minutes saw plenty of chances go begging for both sides. USA's Haji Wright came the closest to opening the scoring 13 minutes in after getting on the end of Christian Pulisic's cross but the No7 could not keep his effort from going over the crossbar. Pulisic in particular tormented the Nigerian backline with his pace and skill attacking down the left, but the Super Eaglets held on and five minutes after the break took the lead. The Americans were unable to clear during a scramble in their area and Chukwudi Agor capitalised on the Stars and Stripes' mistake and smashed the ball into the net, leaving William Pulisic no chance. The opening goal did not diminish the Americans' attacking spirit, but Richie Williams' side could not create any clear-cut chances to find an equaliser. And with half an hour remaining, Victor Osimhen doubled Nigeria's lead after cleverly beating two defenders and calmly finishing past Pulisic. To make matters worse for USA, Auston Trusty was shown a straight red card three minutes from time, which will require coach Williams to make some changes in his backline ahead of the Americans' next match against Croatia on Tuesday. With the man advantage, the Super Eaglets confidently controlled the tempo of the game until the final whistle to put them on top of Group A, at least temporarily as Croatia take on tournament hosts Chile, also in Santiago, later on Saturday evening in the group's other match-up. "Considering it was the first match, I think it was a good game. At the beginning it was pretty even, everything very tactical, neither of us wanted to make a mistake. At half time I told my players to believe in themselves, and it worked, because we were more precise. Besides the three points, which are very important, I also liked that we kept our heads even when we could not get things going," Emmanuel Amuneke, Nigeria coach. "We are obviously disappointed because of the outcome. We played a good first half, we were balanced, solid and we even created some chance that we were not able to convert. Nigeria scored two quick goals, but thank to unfortunate errors on our side. We were hoping to be more effective, but we lost against a good Nigerian team," Richie Willams, USA coach. The Nigerian government has placed an unofficial ban on the importation of 41 products, including rice, cement and toothpicks in a bid to create local jobs. But many aren't happy with the move. Yvonne Ndege reports from Lagos. The Nigerian military on Thursday convicted a Brigadier General, Enitan Ransome-Kuti, blamed for the loss of Baga in Borno State to Boko Haram insurgents in January. Mr. Ransome-Kuti, son of Beko Ransome-Kuti, a foremost Nigerian pro-democracy activist who died on February 10, 2006, was arraigned before a military court, sitting in Mogadishu Barracks, Abuja, in May. He was accused of cowardly behaviour, loss of weapons to Boko Haram, and negligent performance of military duty under section 62b of the Armed Forces Act. In its judgment Thursday, the court dismissed the charge bordering on cowardly behaviour, following a no-case submission by the defendant. The court said the officer was right in withdrawing his troops in the face of superior firepower from Boko Haram terrorists. He was however sentenced to six-month imprisonment for loss of equipment to the extremist sect. He was also found guilty for negligently performing his duties and was therefore dismissed from service. Femi Falana, SAN, assisted by a retired Army Major, Femi Oyebanji, represented the convicted General during the trial. Mr. Falana told PREMIUM TIMES Friday morning that his team was still reviewing the judgment, which he described as contradictory. He promised to provide further details later. Mr. Ransome-Kuti, his Chief of Staff, Lieutenant Colonel G.A. Suru, and some other senior officers, were arrested for failing to repel Boko Haram attack on the headquarters of the Multinational Joint Task Force [MNJTF] in Baga in January. Also arrested at the time were the Commanding Officers of the 134 and 174 Battalions — Lieutenant Colonel Haruna and Major Aliyu. The two battalions were under the MNJTF during the period. Mr. Ransome-Kuti was the commander of the multinational force during the attack. The commanders were detained shortly after they arrived Maiduguri, the Borno State capital, from Monguno, where they took refuge with troops after being dislodged from Baga. Military sources told PREMIUM TIMES at the time that authorities were especially angry with Mr. Ransome-Kuti for his inability to lead his troop to counter the onslaught in Baga, despite the high calibre weapons and ammunition available to his unit. After their arrests, the senior officers were held at the officers’ mess of the 21 Armoured Brigade, and were asked to account for the weapons lost to the insurgents. The Nigerian Army had in August said cases of convicted and dismissed soldiers and the ongoing trials of officers and men would be reviewed. But despite that announcement, the Special Court-Martial trying Mr. Ransome-Kuti at Abuja continued to sit. “Since the other courts-martial have been dissolved while the suspects have been directed to appear for a review of their charges filed against them it is discriminatory, inequitable and illegal to continue with the trial of Brigadier-General Ransome-Kuti, Mr. Falana had told PREMIUM TIMES in August. The Army is yet to comment on the judgment. Nigeria military has recently warned civilians that the group may be using deadly cluster bombs in their campaign for an Islamic State. Nigeria's amnesty programme for Niger Delta militants has been in place since 2009, when the late president Umaru Yar' Adua was in power. His successor, Goodluck Jonathan continued and sustained the programme, which gave payouts and promised to train and rehabilitate the youths that had previously destabilized oil production in the Delta for years. Now, President Muhammadu Buhari says he plans to "streamline" the amnesty. Ex-militants warn if the payouts stop, they will rearm. An economic summit is underway in Abuja, Nigeria. The West African country is facing an array of challenges including weak oil prices, slump in government revenue and high inflation. The meeting is also focusing on tackling corruption, insecurity and good governance. A report has ranked Nigeria as the fifth biggest exporter of footballers in the world, just behind Brazil, Argentina, France and Serbia.“According to the CIES Football Observatory monthly report, Nigeria are also the biggest supplier of football talent in Africa as they have 596 players scattered across the world. “Other African countries mentioned in this report are Senegal (10th in the world, 377), Cote d’Ivoire (11th, 370), Cameroon (12th, 366) and Ghana (13th, 365).“In total, 18,660 foreign players of 194 origins were recorded in the leagues taken into account in the analysis.“Footballers playing outside of their country of origin make up about 13% of squads. “Five-time world champions Brazil remain the biggest exporters of footballers in the world as the report say they have 1,784 players plying their trade outside their country.“Brazilians are clearly ahead of Argentinians (929 players) and the French (758). These three nationalities alone account for almost 20% of foreigners present on a global level.“Among the 15 countries exporting the most players are six European, five African and four South American nations. “This is despite the recent below-par performances of their national team, Brazil remain an exporter country of footballers par excellence.“Brazilians are present in almost all of the countries studied, making them the only truly global workforce.“However, no South American country is among the top five destinations of Brazilians. However, three of the five main destinations of Argentinians are to be found in South America.“Similarly, the main countries to which French players migrate are geographically close to the home country". Three blasts hit the city of Maiduguri in northeast Nigeria on Tuesday killing a number of people, locals and the Red Cross said. The "huge explosions" happened in the Ajilari Cross area of the city, which has been targeted by similar attacks twice in the last month, including on September 20 when at least 117 were killed. The previous attacks were blamed on Boko Haram Islamists, which has increasingly hit "soft" civilian targets in recent months using suicide bombers and improvised explosive devices. It was not immediately clear what caused the latest blasts, which happened in quick succession from 8:10 pm (1910 GMT), said Bashir Mohammed, whose house is near the scene. "We are all confused and people are running helter-skelter," he said. Sheriff Ahmad, a cleric in the area, said: "Many people have been killed. I don't know how many and I don't think anyone can tell you now." Ahmad described seeing body parts on his house, while Hafsat Sani, a nurse at the nearby Umaru Shehu Hospital, said: "There are many houses around the area and the blasts have affected many of them." The hospital quickly began receiving the injured while police, soldiers, the Red Cross and officials from Nigeria's National Emergency Management Agency (NEMA) were mobilised, he said. A Red Cross official said: "Obviously there are people that died but I don't have figures." There was no immediate comment from the police or military while details were sketchy as Maiduguri is subject to a night-time curfew. On October 1, at least 10 people were killed and 39 injured when four suicide bombers blew themselves up in a wave of attacks in Ajilari Cross, which is near Maidugiri airport and a military base. At least two bombs were strapped to teenage girls, witnesses and the police said at the time. The September 20 attack targeted a mosque and killed football fans watching a televised match as well as bystanders. Amnesty International said last month that the Boko Haram conflict had killed at least 1,600 people since the start of June in Nigeria, Niger, Chad and Cameroon and called for more protection for civilians. An AFP tally puts the death toll at more than 1,320 in Nigeria alone since Muhammadu Buhari became president on May 29. Boko Haram claimed responsibility for three suicide attacks in the satellite towns of Kuje and Nyanya outside Nigeria's capital Abuja on October 2, which killed a total of 18 people and injured 41. On Tuesday, Nigeria's most senior police officer, Inspector General of Police Solomon Arase, said two people had been arrested on suspicion of masterminding the blasts. The suspects' identities were not disclosed but Arase said in a statement the arrests had "foiled another attempt... to undertake further attacks in the FCT (Federal Capital Territory)". Items recovered from the suspects included 12 "prepared and primed" home-made explosives concealed in soft drink cans, 28 electronic detonator parts and a "large quantity" of bomb-making equipment, he added. Nigeria's military has claimed a series of successes in recent months and has characterised the upsurge in attacks on civilian targets as desperation on the part of the Islamic State group-alled militants. Attacks have also continued across the border. At the weekend, 41 people were killed and another 48 injured in triple explosions in Baga Sola, on the Chadian side of Lake Chad, where Nigeria meets Niger, Chad and Cameroon. One targeted a fish market and two a refugee camp for those displaced by the violence. Nigeria has called on the British army to help meet its deadline for defeating Boko Haram. The government has given itself until the end of the year to beat the ISIL-affiliated group. But the presidency says it needs British help in training troops, and to fix vital equipment. The Amnesty International (AI) has announced the opening of its new national office in Nigeria, as part of a major drive to increase the impact of its human rights work in the country. The establishment of Amnesty International Nigeria sets out a new way of working for the world’s leading human rights organization in the West African country. Responsibilities that were previously held in London have now been transferred to the new national office in Abuja which will act as the main base for the global movement’s research, campaign and communications work addressing human rights violations in Nigeria. The office has a staff of seven people and is led by M.K. Ibrahim. According to Shetty, the AI will campaign and lobby on a wide range of issues in Nigeria. These include the ongoing attacks and atrocities by Boko Haram, violations committed by the military and other security forces, use of torture, forced evictions and the right to adequate housing and the devastating impact of decades of oil pollution on communities in the Niger Delta. Shetty added that Amnesty International Nigeria will also strengthen partnerships with national human rights organizations and support campaigning by civil society organizations across the country. Former Ambassador M.K. Ibrahim brings a wealth of experience to the role of Director of Amnesty International Nigeria, having served in Nigeria’s Foreign Service in various capacities and specializing in human rights. Amnesty International Nigeria, under the direction of MK Ibrahim, will continue to work for the protection and promotion of human rights and social justice in the country, and hold the Federal and state governments to account through its campaigning, research projects and lobbying. “From the relatives of the thousands killed and missing in north-east Nigeria to the thousands of villagers in the Niger Delta who cannot plant crops or drink clean water because of oil pollution, Amnesty International will stand in solidarity with all the people in Nigeria who face human rights violations and abuses,” said M.K. Ibrahim, Director of Amnesty International Nigeria. A Nigerian Air Force fighter jet on a bombing mission against Boko Haram crashed in a windstorm in the country's northeast, killing the pilot, an official statement and a witness said. The jet "returning to base from an interdicted mission crashed due to bad weather and not under enemy fire," Air Force spokesman Commodore Dele Alonge said in a statement issued Saturday. The Chinese-built Chengdu F7 went down in a rural area of Adamawa State, Alonge said. The crash happened in an area where Boko Haram Islamic extremists last year shot down a military jet and beheaded its pilot. Farmer Moses David said he watched the pilot parachute from the plunging jet, only to ram into a tree, which killed him. He said there was a violent windstorm when the jet hit the ground with such force that its nose is buried. In August, a Nigerian Air Force plane crashed into a home in northern Kaduna city, killing all four crew and three passengers. In November 2014, a military helicopter exploded in the northeast, killing all three crew members. 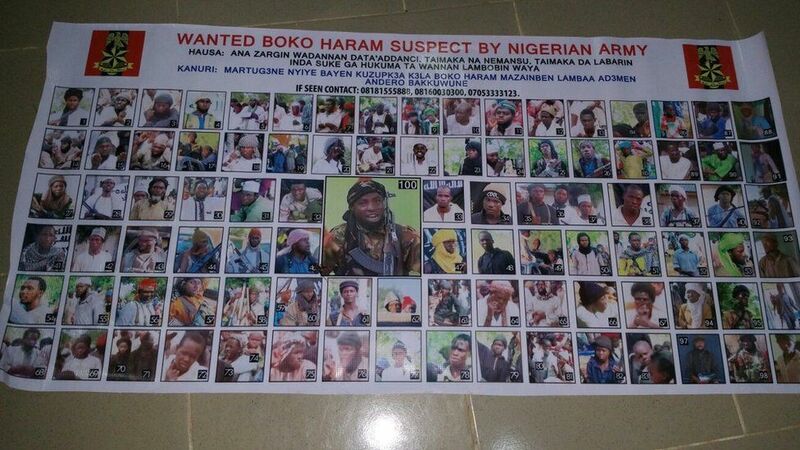 In December 2013, Boko Haram destroyed two helicopter gunships and three fighter jets in northeastern Maiduguri city. The Air Force commander reported ordering new aircraft last year after the U.S. confirmed it had refused to sell Nigeria attack helicopters because of concerns about its ability to use and maintain the aircraft, as well as the military's failure to protect civilians in the Islamic uprising. Nigeria's president of four months, Muhammadu Buhari, has criticized the United States for its decision although President Barack Obama has promised other help to end the uprising that has claimed some 20,000 lives in six years, according to Amnesty International. Revenues from Nigeria’s oil sales declined by over two-thirds between September last year and July this year with “dire consequences” for Africa’s largest economy, the country’s state-run oil giant said Sunday. “The receipts witnessed a sharp decline of more than 67 percent from September 2014, when the receipt was at its peak, to July 2015 with dire consequences to the federation,” a report by the Nigerian National Petroleum Corporation (NNPC) said in a statement. The fall in global oil prices over the last year has affected the revenue of the oil-dependent nation, which derives more than 90 percent of its foreign exchange earnings from crude sales. The NNPC’s monthly publication of provisional financial and operational data is an innovation introduced by the new boss of the organisation, Ibe Kachikwu, aimed at opening its books to public scrutiny, the statement said. Over the decades, critics have accused the NNPC of being opaque in its operations, while corruption and mismanagement allegations have also dogged the company. Shortly after he came into office, President Muhammadu Buhari sacked the top management of the NPPC and appointed Kachikwu — a former Exxon executive — in July as part of his administration’s crackdown on corruption in the agency. The NNPC report indicated that total receipts for crude oil and gas exports between January and August 2015 were $3.4 billion. Of the total receipts from oil and gas sales, $608 million was remitted to the federation account — the pool into which all federal revenues are deposited. Most of the 36 states of the Nigerian federation owe workers several months of unpaid salaries, attributing the situation to dwindling allocations to them from the federation account. Kachikwu, a lawyer, is expected to be appointed as the junior oil minister who will oversee the day-to-day running of the crucial industry. The National Hajj Commission of Nigeria (NAHCON) on Thursday said 355 Nigerians were involved in the Mina Stampede, out of whom 99 were confirmed dead. More than 769 pilgrims from across the world died and 1000 others injured in the Sept. 24 stampede in one of the roads leading to Jamarat Complex (stone throwing site) in Mina, Saudi Arabia. Saleh Okenwa, the Commissioner in charge of Information, Research and Library Service, NAHCON, confirmed the new casualty figures to journalists in Mecca. Okenwa also said 214 pilgrims were still missing, adding that investigation was ongoing to ascertain their whereabout. He said out of the 355 pilgrims involved, 99 were confirmed dead, 42 injured and 214 were still missing as at October 7. He also said that of the 99 deceased pilgrims, 73 were transported by state pilgrims welfare agencies, and 26 by tour operators. Okenwa also said the 42 injured pilgrims comprised 41 transported by state pilgrims’ welfare boards and one by tour operators. The commissioner said 194 Nigerians of the 214 pilgrims missing were airlifted by the state pilgrims’ welfare agencies, and 20 by tour operators. Okenwa said only seven of the 42 injured pilgrims were still on admission. DR Congo won 2-0 against Nigeria in Thursday evening's friendly to inflict a first defeat on new coach Sunday Oliseh. However, the build-up to the game was overshadowed by reports of a rift with goalkeeper and captain Vincent Enyeama, leading to the retirement of the country's record appearance holder. New coaches usually enjoy a post-appointment honeymoon period with fans and media and Oliseh has been enjoying his -- until now. 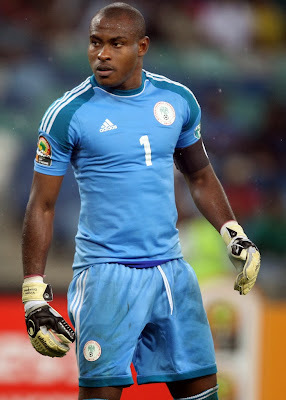 This week's highly publicised spat with Enyeama, who enjoys massive fan support, has left Oliseh treading water. Reaction on social media, on radio and even on the streets of Nigeria have, for the most part, been pretty caustic. Losing to Congo DR in a poor display that saw them ship goals from Dieumerci Mbokani and Jordan Nkololo, simply exacerbated issues for Oliseh, who will now have to ensure his team get back on track to keep the fans on side. An immediate, if indirect fallout, was the armband farce that took place in the second half. As one Twitter user put it, the Nigerian armband was being passed around "like the Olympic torch." That captured the situation perfectly. On being substituted, Ahmed Musa handed the armband to John Obi Mikel, who promptly passed it to Ogenyi Onazi. When it came to Onazi's turn to make way, he handed it to Elderson Echiejile. In light of the current circumstances surrounding the loss of Enyeama, it painted an unflattering picture of the dressing room situation. Who is the leader? Who will step up? On a day when the team looked dire, Mikel was the surprising shining star. Played in an advanced role, he looked very much the opposite of his lacklustre alter ego at Chelsea. He drove the team forward, took on players, linked play and even tested the goalkeeper on occasion. What to do with Mikel is a conundrum that many Nigerian coaches have tried and failed to find a solution to. It is a solution that Oliseh will need to find quickly. Carl Ikeme came in to the squad with expectations of being an understudy, but a combination of circumstances in light of Enyeama's decision have thrust him into the spotlight and made him the first-choice goalkeeper. Exhilarating as this may be, filling the huge gloves of the last occupant puts an additional burden on him. Where he may have been forgiven for the odd mistake, the circumstances of his ascent mean his margin for error has been significantly shaved. Most of the controversy in the last few weeks has centred on Nigeria's chase for players born in the diaspora. The high profile decision of Jordon Ibe to pick England ahead of Nigeria has left a sour taste in many mouths. But the case for players who choose to represent Nigeria, despite not having been born in the country, was strongly made by three of the back five. Leon Balogun, William Troost-Ekong and Ikeme all performed relatively well and have done since their debuts. Perhaps, there is some method to the madness. An Ebola scare has been reported in southern Nigeria, a year after the country was declared free of the virus. Ten people have been quarantined after coming into contact with a man showing Ebola-like symptoms, officials said. The man reportedly died shortly after being admitted to hospital in Calabar. On Wednesday, the three countries worst affected by Ebola - Guinea, Sierra Leone and Liberia - recorded their first week with no new cases since the outbreak began in March 2014. More than 11,000 people died in the West African Ebola outbreak, the worst known occurrence of the disease in history. New cases have fallen sharply in 2015, but the World Health Organization (WHO) has warned that the disease could break out again. The latest scare happened when a patient arrived at the University of Calabar Teaching Hospital on Wednesday. "We have sent blood samples for testing and quarantined identified contacts," said Queeneth Kalu, the hospital's chief medical director. Those quarantined included nurses who had attended to the patient, he added. Ebola arrived in Nigeria in July 2014 when a Liberian businessman collapsed at Lagos airport. But the outbreak was contained with seven deaths - far fewer cases than in the worst-hit countries. Industry experts are in Abuja, Nigeria for the World Pension Summit which aims to build sustainable pension systems across Africa. Nigeria is seen as a model for other African nations, following large scale reforms to increase pension funds over the last decade. It's not just the retired who benefit from this expansion. As Kelechi Emekalam reports, it's hoped the capital from growing pension funds can fuel important infrastructure projects across Africa. At least 17 people were killed in a series of suicide bomb attacks in northeast Nigeria Wednesday, as Boko Haram released a new video saying its leader was still alive and in charge of the Islamist group. The worst of the violence struck the Yobe state capital of Damaturu, which was rocked by triple blasts that killed 14 people and left 10 others injured, according to Bashir Idris Garga, Yobe state coordinator at the National Emergency Management Agency. Damaturu has been repeatedly attacked during Boko Haram's six-year insurgency. Last month, a girl thought to be aged 12 killed six when the explosives she was carrying went off outside a bus station. Garga said the first blast Wednesday happened at a small food store, killing four. Another near a mosque killed one, while nine, including a family, lost their lives when a bomber struck a Fulani settlement on the outskirts of the city. Yobe governor Ibrahim Gaidam called the attacks "cowardly and barbaric" and urged improvements in surveillance. State police spokesman Toyin Gbadegesin told AFP "gun-wielding bombers" carried out the attacks between 5:30 and 6:00 am (0400 to 0500 GMT), before the night-time curfew was lifted. In neighbouring Borno state, police said three people were killed in a suicide bombing in Gubio, some 85 kilometres (50 miles) from the state capital Maiduguri. State police commissioner Aderemi Opadokun said two attackers "detonated improvised explosive devices strapped on their bodies... killing themselves and three locals". While there was no immediate claim of responsibility for Wednesday's bloodshed, it came after Boko Haram militants earlier this week said they carried out three suicide attacks near Abuja last Friday that left 18 dead. Boko Haram meanwhile published a new propaganda video via social media, in which an unidentified fighter read a statement in Hausa and Arabic, flanked by more than a dozen armed fighters. "Our leader, Abubakar Shekau is alive and remains our leader," the rebel said. Shekau himself has not been seen on video since February and had not spoken until an audio message last month where he disputed the Nigerian military's claims of successes against the insurgents. The shadowy leader's absence has sparked rumours about whether he is still alive or whether he might have been deposed as leader. The militant speaking to the camera on Wednesday said army claims that some 200 fighters had surrendered in the border town of Banki last month and that hundreds of women and children were released, were a "complete lie". The 17-minute video was posted under the name "Islamic State in West Africa Province", which Boko Haram has used since its pledge of allegiance to IS leader Abu Bakr al-Baghdadi in March. "Our allegiance remains with al-Baghdadi," the militant said in the video. Nigeria's military has claimed a series of recent gains over the insurgents and on Wednesday said scores of rebel fighters were killed during clashes with troops south of Damaturu. Army spokesman Sani Usman said fighters attempted to attack a battalion of soldiers in Goniri, some 60 kilometres by road southeast of Damaturu, in the early hours of Wednesday. "During the encounter our gallant troops successfully repelled the attack and inflicted heavy casualties on the invading terrorists as all of them were killed," he said in a statement. "On the last count over 100 terrorists bodies were seen," he added. There was no independent verification and the army has previously claimed high losses on the part of the militants. Usman said seven soldiers were killed and nine others injured in the fighting, which also saw troops recover arms and ammunition, including primed improvised explosive devices. Nigeria's President Muhammadu Buhari has set his military commanders a three-month deadline to early November to end the Boko Haram violence, which has left at least 17,000 dead since 2009. But he has conceded that bomb and suicide attacks in urban areas could continue as Boko Haram reverts to attacking "soft targets" in the face of the government offensive. Boko Haram has also continued to attack neighbouring Chad, Niger and Cameroon, underlining its threat to regional security. British and Swiss governments, yesterday, pledged to return looted Nigerian funds stashed away in various personal bank accounts in their countries. The two countries also promised to work with Nigeria’s Economic and Financial Crimes Commission, EFCC, and other anti-graft agencies in the fight against official corruption and theft. The new British High Commissioner, Mr. Paul Arkwright, and Swiss Ambassador, Mr. Eric Mayoraz, made the promises at separate audiences with President Muhammadu Buhari at the Presidential Villa, Abuja, during the presentation of their letters of credence. President Buhari, however, called for the speeding up of the processes of investigation, prosecution and repatriation of public funds stolen by past corrupt public officials and their accomplices. Buhari said: ‘‘Switzerland and Britain have been very helpful, indeed, in the recovery of our assets. But we must build on what we have started. Also, Mr. Arkwright assured the President of Britain’s preparedness to give Nigeria the fullest support and assistance in the recovery of its looted resources. President Buhari also received the letters of credence of the ambassador of the State of Palestine, Mr. Saleh Fhied Saleh; ambassador of Myanmar, Mr. Tha Aung Nyun and that of Slovakia, Mr. Peter Holasek. President Muhammadu Buhari warns the corrupt: "No longer business as usual"
Nigeria's President Muhammadu Buhari on Tuesday warned there was no longer any hiding place for the corrupt, as he hailed British and Swiss support for the recovery of stolen public funds. "Switzerland and Britain have been very helpful indeed in the recovery of our assets. But we must build on what we have started," he told both countries' ambassadors separately in Abuja. "It is also important to send a signal to the elite that it is no longer business as usual," he said, according to a statement from his office. Buhari has vowed to recover "mind-boggling" amounts of stolen oil money and bring those responsible to book, as part of a drive against corruption and to replenish depleted government coffers. The arrest in London last week of the country's former oil minister Diezani Alison-Madueke on suspicion of bribery and money laundering has shocked Nigeria's political establishment. She was one of five people arrested on Friday as part of a probe into international corruption dating back to 2013, when she was a serving minister under president Goodluck Jonathan. Magistrates in London on Monday granted police permission to retain for six months £27,000 ($41,000/36,500 euros) in cash seized during her arrest. Alison-Madueke -- the first woman to hold the post of oil minister and the rotating presidency of the global oil cartel OPEC -- has previously been accused of involvement in large-scale fraud. She has repeatedly denied wrongdoing. On her watch, it was alleged the state-run Nigerian National Petroleum Corporation (NNPC) failed to remit $20 billion in revenue to the central bank. Nigerian authorities had received "much help" from Britain, Switzerland and other nations to track down stolen public funds "by officials of past administrations", Buhari said. But he called for "the processes of investigation, prosecution and repatriation of Nigerian funds stolen by corrupt public officials and their accomplices" to be speeded up. Switzerland in March said it would return about $380 million linked to Nigeria's former military ruler Sani Abacha that was placed in several overseas accounts controlled by his family. Some $500 million in Swiss bank accounts had already been returned. Some soldiers in the Nigerian army say they're being trained to fight in their slippers, and are not being given the proper equipment to combat Boko Haram.Army commanders are denying money meant for food, accommodation, training and equipment has been stolen by some officers. Nigerian troops have arrested a suspected financier of the extremist sect, Boko Haram, the army said Tuesday. Mohammed Maina, who sells and supplies stimulants used by the insurgents, was arrested in Bama, Bama Local Government Area (LGA) of Borno State, the army said. “The suspect a native of Ngurosoye came from Shuari village in Bama LGA, he was arrested with the sum of One Million Naira cash and some items,” the army said in a statement by its spokesperson, Sani Usman, a colonel. “Investigation revealed that Mohammed supplies them Kolanuts and other items especially stimulants. He further revealed that kolanuts is in high demand among the terrorists as it keeps them active at night. “It is apparent also that he plies Maiduguri-Dikwa-Kulli axis where he gathers monetary and other materials contributions from Boko Haram sympathizers along that axis and send same to the terrorists camps,” the statement said. Separately, the army said troops of 112 Battalion and Special Forces in Mafa and Dikwa raided a Boko Haram camp at Bulungwa Naibe in Dikwa Local Government Area of Borno State on Monday. “During the operation, quite a number of the Boko Haram terrorists were killed and the following items were recovered; 1 Buffalo vehicle mounted with an Anti-Aircraft Gun, a Rocket Propelled Grenade, 2 Machine Guns and 1 Sub-machine Gun. Others include 5 AK-47 rifles, 1 Fabrique Nationale rifle and 2 Sewing Machines used for sewing uniforms by the terrorists,” the statement said. Nigerian President Muhammadu Buhari nominated four former state governors and the current head of the national oil company as ministers in his administration, according to a list presented to lawmakers in the capital, Abuja. Senate President Bukola Saraki read aloud the 21 names who make up the first group of ministerial nominees proposed by Buhari, though the list, given to Saraki by the presidency last week, didn’t say which ministries the nominees are intended to head. Among those nominated were Rotimi Amaechi, 50, who governed oil-producing Rivers state from 2007 until 2015 when his second term expired. A one-time ally of former President Goodluck Jonathan, Amaechi left the then-ruling People’s Democratic Party in 2013 to join the All Progressive Congress, which was in opposition at the time. He was a key member of Buhari’s campaign team, and last month traveled with the president to the United Nations General Assembly. Buhari, 72, has drawn criticism from opposition figures and some analysts for moving slowly to name his cabinet following his victory over Jonathan in a March election that ushered in the first democratic handover of power in Africa’s biggest oil producer. The Senate, which must approve the nominees, will begin its screening process on Oct. 13, Saraki said. Babatunde Fashola, 52, one of the few nominees who are household names in Nigeria, was governor of Lagos state, home to the country’s commercial capital, between 2007 and 2015. A lawyer by training, he is seen as a technocratic politician credited with reducing crime, improving infrastructure and implementing improvements in tax collection that reduced Lagos’ dependence on federally allocated oil revenue. Of the other two ex-governors, Chris Ngige of southern state Anambra, also defected from the PDP, and Kayode Fayemi, 50, was governor of Ekiti State in western Nigeria from 2010 until 2014, when he was unseated by the PDP candidate. A former director of Abuja-based political think-tank the Centre for Democracy and Development, Fayemi was a member of Buhari’s transitional committee set up between the presidential election and inauguration. With government finances challenged by the halving of oil prices in the past year, Buhari hasn’t laid out his plan to revive Nigeria’s economy or appointed a finance minister. In his Independence Day address on Oct. 1, he called for patience and said he will do more to cut waste and fight corruption. Another nominee, Emmanuel Kachikwu, was in August appointed group managing director of state oil company, the Nigerian National Petroleum Corp. A former executive vice-chairman of ExxonMobil Africa, he was put in place by Buhari to eliminate corruption at the NNPC. In September, he said Nigeria would review some contracts with oil companies for deep offshore oil production to seek more favorable terms. “One of the biggest complaints people have had about how the NNPC is run is that it’s both operator and regulator, and if Kachikwu is given a role at the oil ministry, it will entrench that structure and go even further toward centralizing control of the oil industry,” Teneo’s Cheto said. 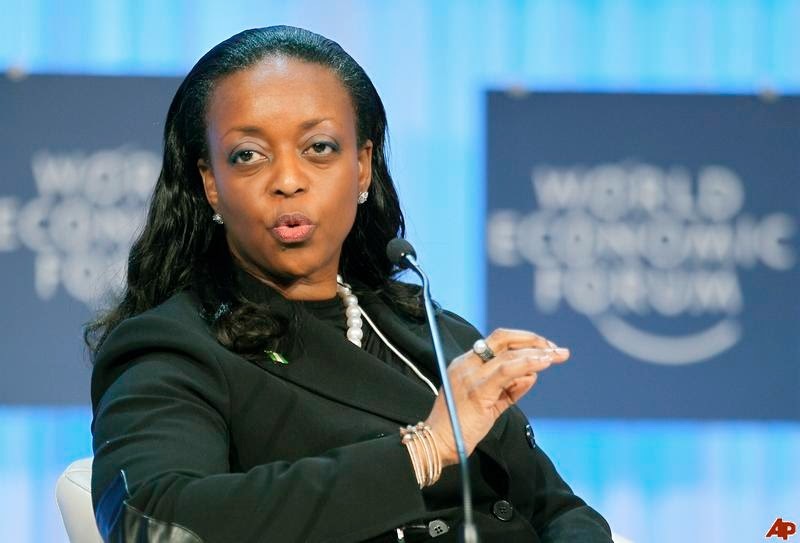 Diezani Alison-Madueke, who was oil minister under Jonathan, was arrested in the U.K. on suspicion of bribery and money laundering offenses, an official in the Nigerian presidency said on Oct. 5. Also on Buhari’s list of nominees were Lai Mohammed, a spokesman for the APC, and Kemi Adeosun, who has worked as finance commissioner for southwestern state Ogun. A series of explosions on the outskirts of the Nigerian capital Abuja have killed at least 18 people, officials say. The first two struck Kuje township: one by a suicide bomber near a police station, the other a bomb at a market. Another bomb exploded at a bus stop in Nyanya. No group has said it carried out the attacks yet but suspicion has fallen on Boko Haram Islamists, who targeted Nyanya last year. The militants, who are fighting to carve out an Islamist state, has mostly focused their campaign on the north-east. More than 40 people were injured in the blasts on Friday night, which security officials described as co-ordinated. Explosives experts have been combing the scene for bomb fragments. Police have also stepped up stop-and-search activities in Abuja following the blasts, AFP reported. Nigeria's President, Muhammadu Buhari, who came to power vowing to eradicated Boko Haram, condemned the attack. "My heart goes out to the families of the dead and injured in Abuja, and other parts of the country. Our will cannot be broken; evil will never triumph over good. We will be rid of this evil stalking our land," he tweeted. Some 17,000 people are said to have been killed since Boko Haram began its insurgency in 2009. This year, security forces have managed to reclaim most of the territory captured by Boko Haram fighters and freed a number of people kidnapped but militant attacks have intensified. Former Nigerian Petroleum Minister Diezani Alison-Madueke was been arrested in the U.K. on suspicion of bribery and money laundering offenses, an official in the Nigerian presidency said. “The government is aware of the arrest and is cooperating with the investigators in the U.K.,” Garba Shehu, a spokesman for President Muhammadu Buhari, said Monday by phone from the capital, Abuja. Alison-Madueke, a former president of the Organization of Petroleum Exporting Countries, served as Nigerian oil minister for five years until her party lost elections in March. Five people were released on bail on Friday, the U.K.’s National Crime Agency said on its website, without identifying them. A spokeswoman at the agency declined on Monday to comment further. Calls to Alison-Madueke didn’t go through because her mobile phone was switched off. Reuters reported the arrest earlier citing unidentified people. Rising unemployment has left many a young person in Nigeria, with limited options for a career. Many wait for often promised but rarely delivered jobs to be created in the public and private sectors, but others have taken matters into their own hands. Sophia Adengo tells the story of Emmanuel Ngene who has taken up his entrepreneurial skills to make a living. A series of explosions rocked the city of Maiduguri in northeast Nigeria on Thursday, with casualties feared, witnesses and police said. It was not immediately clear how many blasts hit the Borno state capital but one police officer said as many as seven went off and locals reported at least two bombs were strapped to teenage girls. Boko Haram Islamists have increasingly used suicide bombers to target civilians, including in Maiduguri, where on 20 September dozens of people were killed in a wave of attacks. “The first bomb was strapped to the body of a teenage girl, who wanted to kill worshippers at Ajilari Cross,” said Bashir Ali, a driver in the area. Ajilari Cross, near Maiduguri airport, where there is also a military base, was one of several places in the city hit 10 days ago. Ali said the girl’s target appeared to have been a mosque, just as worshippers were preparing for evening prayers at about 7:30pm (1830 GMT). “Tragedy was averted because there was a little delay as the prayers did not commence in earnest and the bomb strapped to the body of the girl went off and killed her,” he added. Maiduguri has been on edge since the last round of bombings, with locals fearing further bloodshed. The sound of the first explosion saw many flee their homes. Bakura Ajiya, a butcher, said there were three blasts as people left the area, killing a number of people. He did not specify how many. He added that there was another teenage girl carrying explosives who targeted a separate gathering in Ajilari but her bomb failed to go off. “When she attempted to flee, the police shot her in the leg,” he said. Exact details of the blasts and casualties are unlikely to emerge until Friday, as Maiduguri is subject to a nighttime curfew. Nigeria’s military on Thursday said one man was arrested after troops discovered and raided what it said was a Boko Haram fuel dump in the Abbaganaram area of Maiduguri on Wednesday. “The fuel depot was used to stockpile petroleum, oil and lubricants by Boko Haram terrorists and their equally heartless collaborators for onward movement to the terrorists’ camps in Sambisa forest,” army spokesman Sani Usman said in a statement. Separately, Usman said 80 Boko Haram fighters had surrendered to troops in the town of Bama, some 70km (45 miles) southeast of Maiduguri. Military commanders, who in early August were given a three-month deadline to end the insurgency, this week said they were holding 315 Boko Haram fighters who had given up their weapons. Nigeria’s president, Muhammadu Buhari, has said he was hopeful of an end to “conventional” fighting by early November but guerrilla-style attacks on civilians may continue. Amnesty International on Wednesday said more needed to be done to protect civilians, with at least 1,600 killed in Boko Haram violence in Nigeria, Cameroon, Chad and Niger since the start of June, taking the toll to some 3,500 this year. At least 17,000 people have been killed in the conflict since 2009 and 2.5 million made homeless, mainly in Nigeria. The UN’s regional humanitarian coordinator for the Sahel region, Toby Lanzer, said in New York on Wednesday the effects of the insurgency had created “the fastest-growing crisis in Africa”.